Ghastly smoking-relating photos on cigarette packs do encourage smokers to quit, a new study finds. “This is the first top-quality evidence available that these warnings do change behavior,” said lead researcher Noel Brewer. He is an associate professor of health behavior at the University of North Carolina in Chapel Hill. Such habit-changing images show smoke emerging from a hole (stoma) in the neck, smoke-ravaged lungs, badly stained teeth, or a patient near death. In a four-week trial, Brewer’s team found that 40 percent of smokers who had these visual warnings were likely to try to quit, compared with 34 percent of those whose packs had only print warnings. By the end of the trial, nearly 6 percent of the picture-pack group had quit for a week, compared with about 4 percent of the others. Brewer said the labels worked because smokers couldn’t get the pictures out of their minds. “They didn’t feel any more at risk. They didn’t think that smoking was any more dangerous, but they were a little more worried, and they couldn’t stop thinking about the harms of smoking,” he said. The U.S. Tobacco Control Act of 2009, which gave the U.S. Food and Drug Administration authority over tobacco products, mandated photo warning labels on cigarette packs. 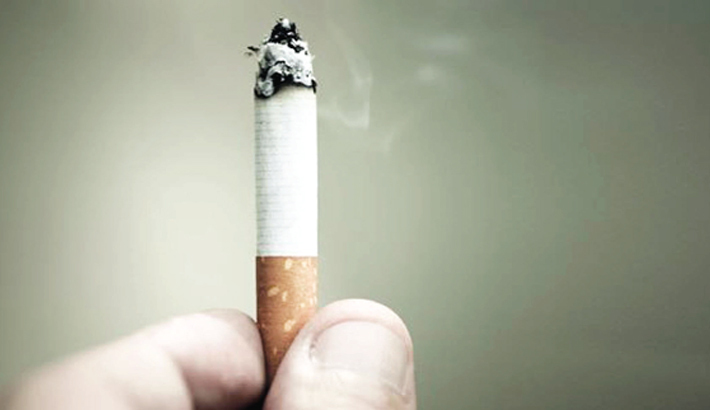 The FDA proposed several images, but tobacco companies filed a lawsuit against the agency in 2012. A federal appeals court struck down the visual packaging requirement, ruling that the FDA had not provided evidence to show the explicit images would deter smoking. Brewer said the new study results should bolster the FDA’s case. Smoking is the chief cause of preventable death worldwide, and anti-smoking advocates welcomed the new findings. The active compound in turmeric, curcumin, has natural antidepressant qualities. You may already be adding turmeric to your meals because of its vast whole-body health benefits, such as lessening the effects of rheumatoid arthritis, osteoarthritis, and other inflammatory conditions, as well as fighting Alzheimer’s disease and diabetes. Animal studies have also linked curcumin to an increase in serotonin and dopamine, so it’s a powerful way to boost your mood.